BF Goodrich Redline Radial tires are one of Coker Tire's most popular products. The redline tire is synonymous with the American muscle car. 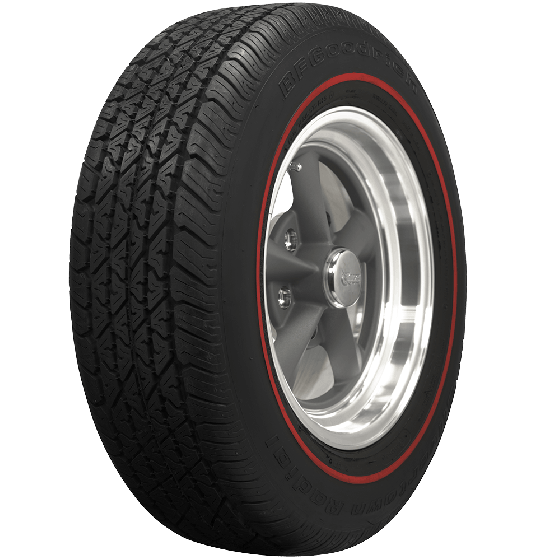 While mostly bias ply tires were widely available in the sixties, these modern radial BF Goodrich Redline tires offer fantastic performance and ride quality. 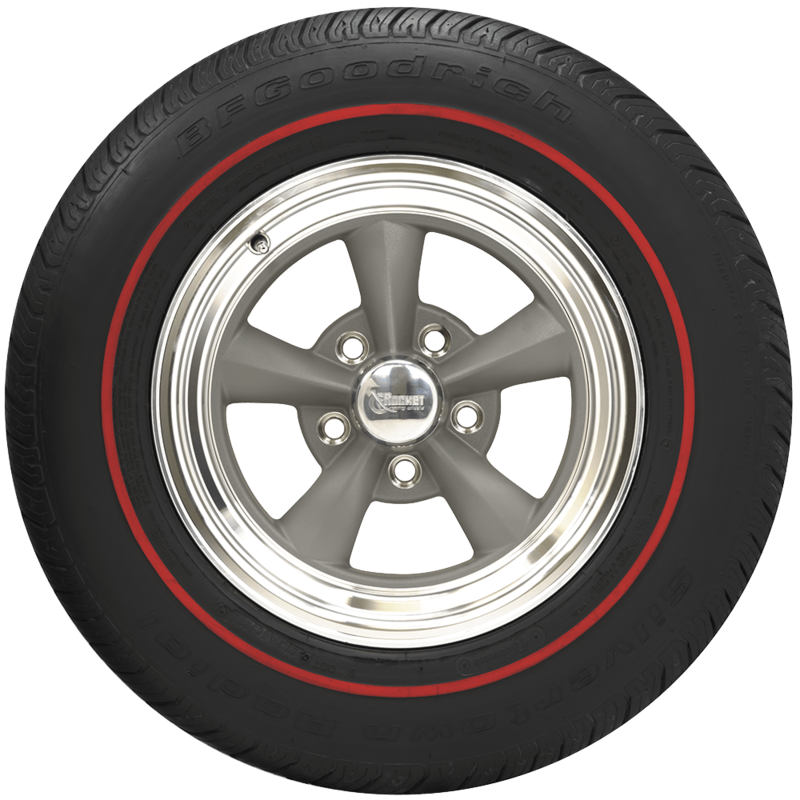 3/8-inch raised redline sidewall is correct for the muscle car era with a range of sizes to fit 13, 14, 15, 16 and 17 inch wheels. A popular tire choice for Mustangs, Camaros and other popular muscle and pony car applications. Also the large-diameter sizes offers contemporary fitment with the classic redline tire styling. All BF Goodrich Silvertown Radials feature an all season tread design with an S-speed rating. 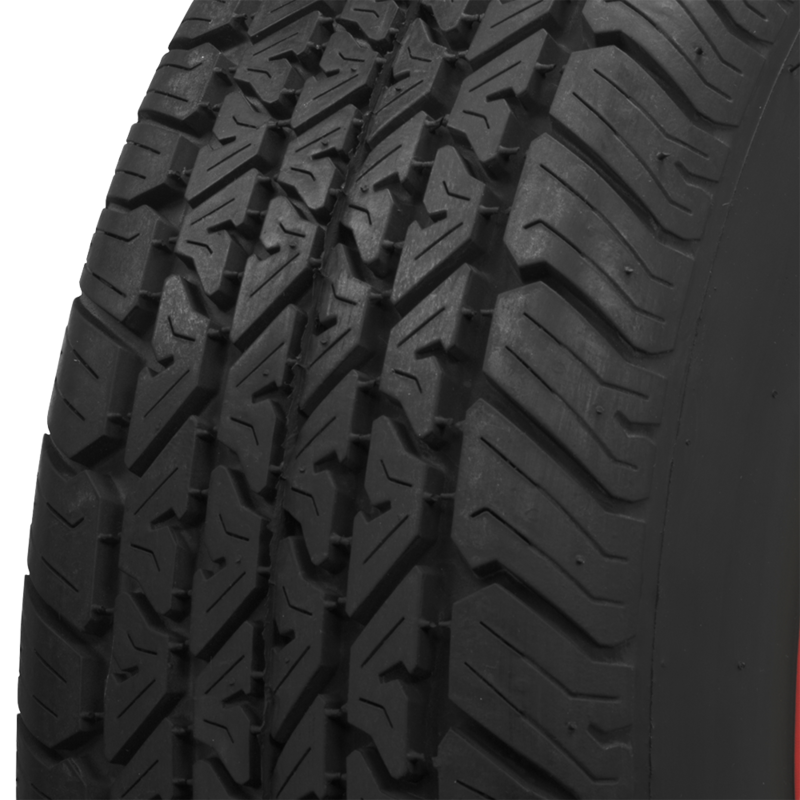 These tires are DOT and ECE approved, and they are backed by Coker Tire Company's Life of the Tread Warranty. Would this tire, SKU 555778, 215/70R14 be a correct replacement for a 1969 Camaro SS396, stock with factory disc brakes,originally an F70-14, or would SKU 530290, 205/70R14 be the replacement. The 215/70R14 is the correct radial conversion size for the F70-14. The correct radial tire size for 1967 Corvettes is 205/75R15. WHAT SIZE STOCK REDLINE TIRE CAME ON A 1967 PONTIAC LE MANS HO 326 AND WHAT WOULD BE A GOOD REPLACEMENT THAT WOULD LOOK THE SAME AND RIDE GOOD ON THE HIGHWAY ?? The standard, OE bias ply tire size was 775-14, which converts to a modern radial size of 205/75R14. 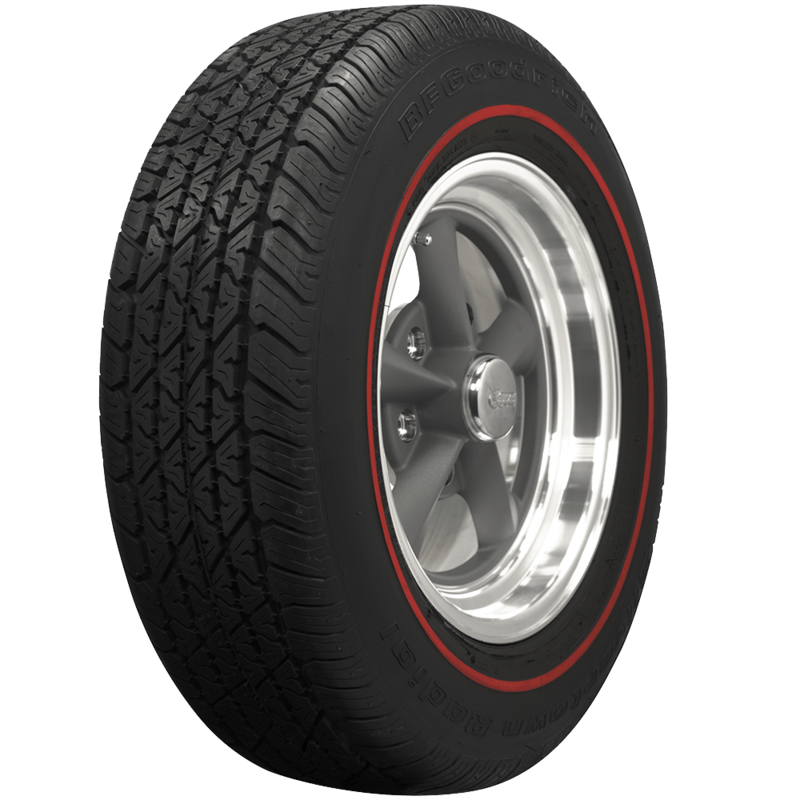 The 205/75R14 is available in this BF Goodrich radial redline, simply select size from the drop-down menu at the upper right to see specs and pricing.